A month or so ago I decided enough was enough and that I really needed to do something about my weight. For a while I was so unhappy with my body for so long but had so many excuses not to eat better, not to exercise but enough was enough. 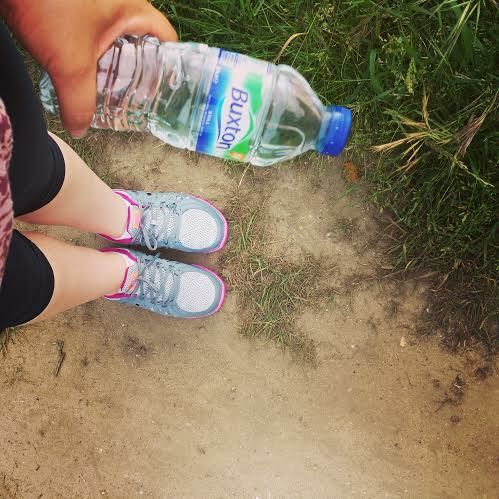 I had this sudden urge to eat better, and go for walks, and I really enjoyed it. The walks weren't all too successful as I pushed myself to walk in the rain, in the mud and only had Converse and Jelly shoes to wear, making it both challenging and uncomfortable. Walking, although great, quickly became not enough and inspired by friends around me I wanted to move onto the next level and think about jogging or starting to run. The only thing holding me back was my lack of running shoes and suitable clothing. I then had the opportunity to choose some items from online sports shop sportsshoes.com. Being in no way sporty whatsoever I was a but daunted at the prospect of having to buy items that I really had no idea about. I didn't know how I would go about ordering running shoes online but the handy video on the website explaining about trainers and foot shape really helped me to narrow down which shoes would be suitable for me and then to choose something which suited my budget. I am inbetween sizes so can be a 7 or can be an 8 so the fact that they stock half sizes was really helpful. I ordered the Nike Dual Fusion Run 2 Women's Running Shoes in 7.5 and they are perfect. 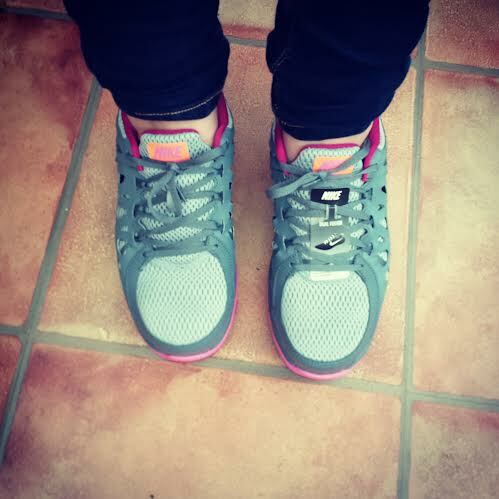 As soon as I put them on I could really feel that they are well structured and would support my feet correctly. I had seen running outfits that other bloggers wear and with some advice on trousers from Katie I went for the Nike Tech 2 Women's Capri Running Tights. You will see a theme as it seems I prefer Nike (this wasn't intentional). I was worried to be a curvy girl in these tight trousers, especially as I would be wearing shortish tops and personally I don't think this is a good look. However, thanks to the support and the material the tights are really quite flattering. I also worried that maybe they would feel uncomfortable because of being tight but my goodness, they may well be the most comfortable trousers I have. 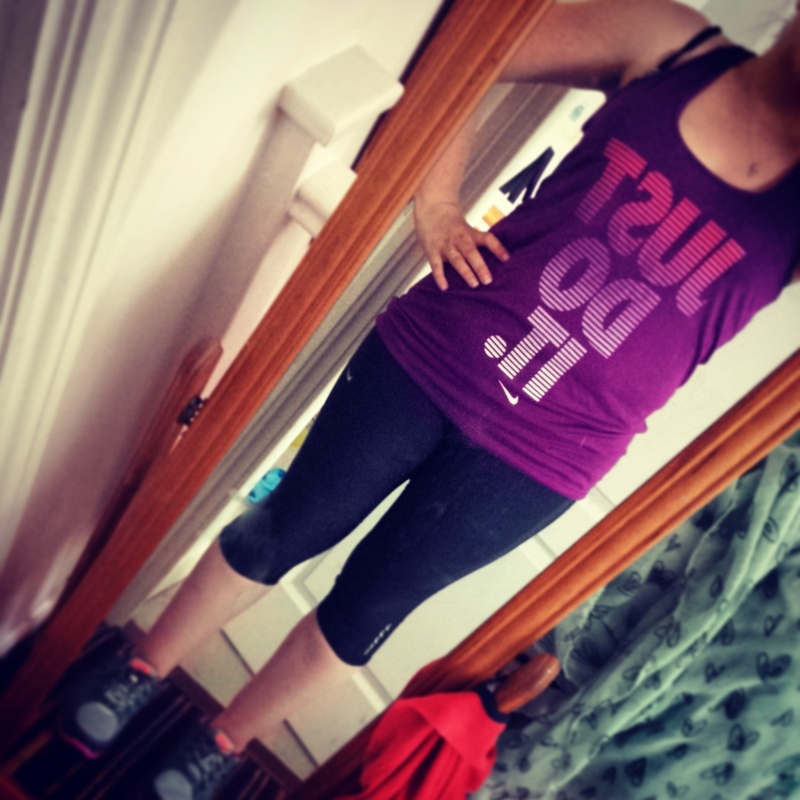 For a top I went for a purple Nike Graphic 14 Were Women's Training Tank. This is really light so will be lovely to run in to keep me cool as well as comfortable. 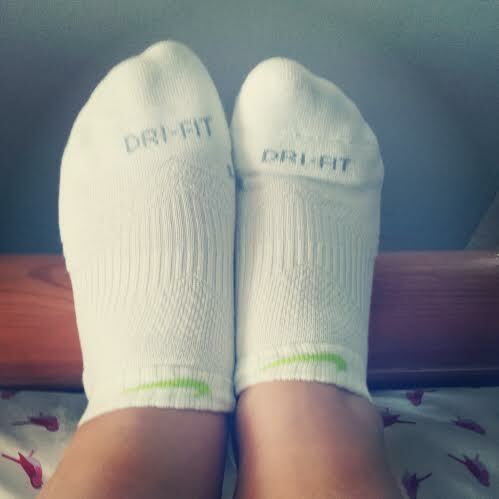 I wanted to really make sure I was looking after my feet and so ordered a 3 pack of running socks. I have a "thing" for socks and these are so comfortable. They are a little bit thick but still don't affect my shoes or make them feel tight which I think other thick socks would. I also ordered some shorts. The fabric is soft and really comfortable. I am planning on wearing these down the beach when I get time to go down there to exercise soon. I worry about gaining new hobbies because of money you have to pay out but all of these items cost just under £90, which is fantastic considering the quality of the items, the fact they are Nike and that it included a pair of running shoes. These clothes arriving has given me the push and encouragement to get out and exercise. I feel so much better about myself, in the way I look and the way I feel about my body. The trainers and trousers in particular really make me feel confident when I go out for a walk/jog/run and don't make me feel like such a fraud. I'm pretty sure that in the near future I will be purchasing more running and exercise clothing from this website. I was sent these items for the purpose of this review.